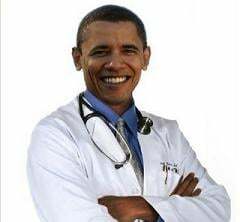 The Obama administration has designed a health care system aimed at defrauding the population, stripping tens of millions of Americans of decent coverage and rationing health care along class lines. It is a scheme largely authored by the insurance and health care industry to boost their profits by depriving people of medicines, tests and procedures and lowering the life expectancy of workers. This is the essence of the Affordable Care Act (ACA), better known as Obamacare. It is a health care counterrevolution posing as a progressive “reform.” Its full enactment will have devastating consequences for the health and the very lives of a large majority of the US population. One of the newly exposed consequences of the ACA is a sharp reduction in a government subsidy that for years defrayed costs to hospitals for uncompensated and undercompensated care given to poor people. These subsidies have helped provide cancer and other life-saving treatments to those who would otherwise have no access to such care. These funds for safety-net hospitals are set to be reduced by $18 billion through 2020 and by an additional $22 billion by 2019, inevitably resulting in increased suffering, disease and death. It is now six weeks since the launch of the exchanges set up under the ACA to sell health insurance to the public. Virtually every day has brought new revelations showing that the promises made by President Obama in relation to his health care overhaul were lies. The continuing crisis at the HealthCare.gov web site is more than a technical debacle. It reflects not only the ineptitude of government agencies and corporate contractors, but the character of the product the web site is peddling. It also reflects the contempt of the Obama administration for individuals and families desperate to obtain access to decent health care. HealthCare.gov does not exist to extend affordable coverage to the millions of uninsured, offer life-saving treatments to the poor, or train new doctors and nurses. Its central feature is a requirement, backed up by fines, for people who are not insured through their employers or a government health plan such as Medicare or Medicaid to purchase coverage from a private insurance company. This will automatically expand the insurance industry’s pool of cash-paying customers. At the same time, Obamacare will drastically reduce government expenditures on health care. It is set to slash $700 billion from the Medicare program for the elderly and disabled over the next decade. As recently as last week, the president was making the absurd claim to supporters that through Obamacare “we were able to deliver on universal health care.” This is a brazen falsehood. Even before the disastrous rollout of HealthCare.gov, the Congressional Budget Office was predicting that 31 million people would remain uninsured, including undocumented immigrants who are barred from receiving government subsidies to purchase coverage and millions of the very poor who will not be insured because their state governments have chosen not to expand their Medicaid programs under the ACA. In the majority of cases, replacement plans offered to these customers are substantially more expensive. ACA regulations written more than three years ago included an estimate that at least “40 to 67 percent” of the 11 million to 14 million people insured through the individual market would lose their coverage. But Obama continued to say that people would be able to keep their plans. The fallout over the administration’s misinformation regarding the individual insurance market is only the tip of the iceberg. Beyond this relatively small market are the 170 million Americans who are presently enrolled in health care plans through their employers. The health care overhaul has been devised as a means of dismantling this employer-based system, which for decades provided a basic level of health insurance for tens of millions of workers in the US. Companies have already shifted their retirees off of company-administered health plans and onto privately run health care exchanges that offer plans with few benefits and large out-of-pocket expenses. City and state governments are also moving to shift their retirees, and in some cases their active employees, off of municipally funded benefits and onto privately run exchanges or directly onto the Obamacare exchanges. Employees are offered small stipends and forced to confront gigantic health insurance corporations as individuals. This is precisely the type of voucher system that ruling class opponents of Medicare plan to institute to undermine and privatize the government-run health insurance program. The biggest lie spread by Obama and his apologists is that the ACA constitutes a genuine social reform. As the World Socialist Web Site correctly stated months before its passage in March of 2010, the Obama administration’s overhaul of the health care system is a “counterrevolution in health care” that is “of a piece with his entire domestic agenda,” aiming to increase social inequality. The political strategists of the corporate-financial elite are devising schemes, such as Obamacare, aimed at reducing life expectancy for workers. As they see it, advances in medical technology have created the undesirable result of workers living too long in retirement, sapping resources that could go to further enriching the multi-millionaires and billionaires at the top of society. The provision of universal, quality health care requires putting health care under workers’ control and placing it on socialist foundations. The working class must answer the Obamacare counterrevolution with its own program and perspective, placing the social rights of the working class above the profit drive of the outmoded capitalist system and its parasitic ruling elite.